Earlybird Bait has always been run as a family business so looking after customers is top priority. If your store needs a high quality, reliable bait supplier then give us a call or read more about our start-up packages. Over the last thirty years Early Bird has established a network of local fishermen who supply first grade ocean products, which is then sorted and packed into various sizes to form our range of fresh bait.To extend our range of quality bait products, Early Bird has ventured over seas and established a relationship with importers and processors. This relationship enables Early Bird to maintain a constant supply to our customers. We have a range of bait to suit all types of fishing, from rivers to estuaries, reefs, beach and surf to the deep sea. At Earlybird Bait we have perfected our techniques to ensure that as a fisherman you get the best supply in Western Australia. With over 300 outlets throughout WA, there is a distributor near you. Earlybird Bait now operates from a new modern processing facility 1000 square metres in size, with a freezing capacity of 1200 cubic centimetres. With such a large premise we have employed 15 staff who processing more than 24 bait products and deliver them in one of the 7 refrigerated delivery vans. 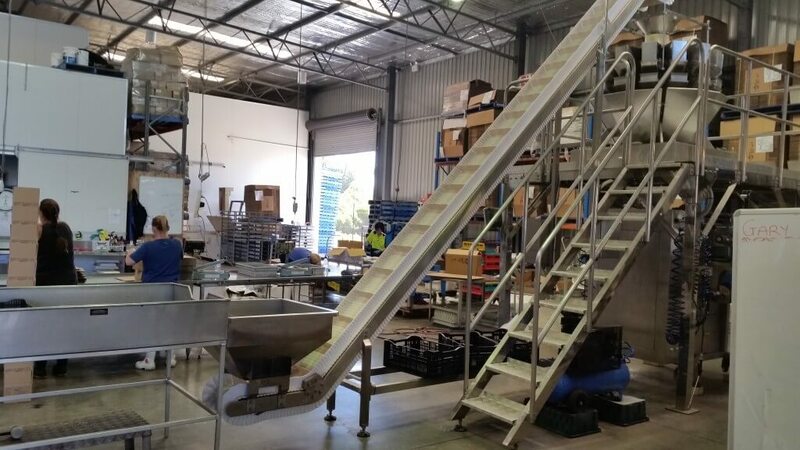 Early Bird Bait realises the importance of their refrigerated delivery vans, because of this, we offer free delivery to outlets within the Perth metropolitan area. We can also arrange delivery to all centres with freezer transport. Our refrigerated vans are essential to ensure that the produce remains frozen. This is especially important in the warmer weather (when our products are the most popular).Being a leader in the industry has given us the chance to discover methods and processes that ensure our customers are delivered quality products. Early Bird Bait were the first to use printed product bags and bar codes for supermarket distribution. We were also the first company to introduce price boards and the distribution of marketing and promotional materials. Our brochure on bait tips can be found wherever you buy our products. At Early Bird Bait we only buy the best quality products from our reliable suppliers and that, coupled with our five-star customer service, guarantees you get a top quality product on time, every time. If you have any further questions please contact us. Early Bird Bait has come a long way from their humble beginnings of the residential garage. 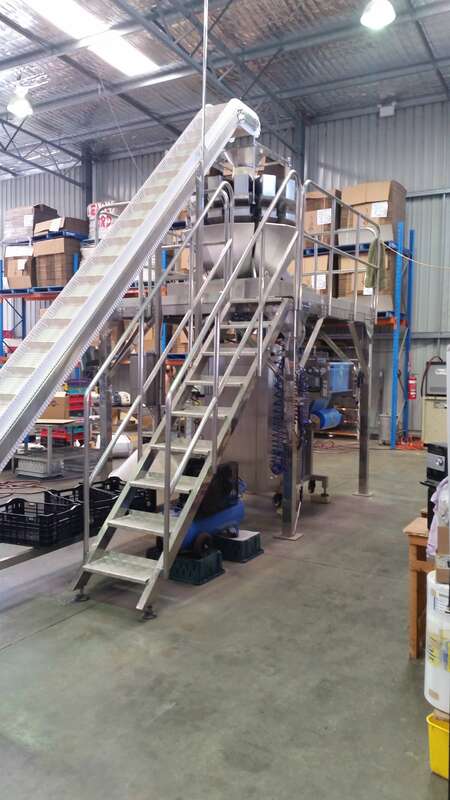 Both of the owners Sue and Garry Dawe have had a long association with the seafood industry and with their combined skills and knowledge they have emerged as one of the industry leaders. As the company began to expand Garry and Sue Dawe moved to Hamilton Hill so they could be close to the action of the fishing industry and the fishermen. Garry entered the Crayfishing industry in the early 1980’s and spent about 18 years as a Crayfisherman before he and wife Sue bought Early Bird in 2000. Sue’s family also pioneered, fished and farmed in the Coolup District. With the success of Early Bird Bait, Garry and Sue are generously involved in sponsoring local clubs and sporting associations. Garry’s Great Grandfather was the first person in WA to can Herring and Mullet in the late 1890’s and export them to Europe. Both his Grandfather and Uncle’s took over the business in the late 1930’s and supplied the Australian Army with seafood during World War II. Garry’s Father fished the Mandurah Estuary for many years before he went to Exmouth to spend the next 25 years bait fishing. 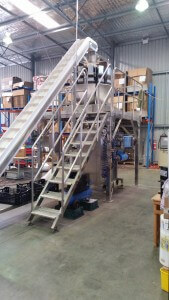 1979Earlybird Bait began its journey to be the biggest bait supplier in WA. 2010 Earlybird Bait still expanding moved once again to a bigger warehouse and freezer capacity in East Rockingham where we are today. 2000Garry and sue bought Earlybird Bait and moved from its small workshop to a much larger complex close to the local fishermen. 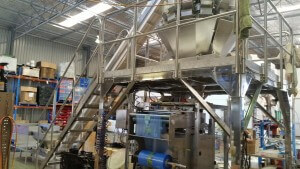 2011Earlybird installed the Accupak VX620 VFFS Bait packing machine. This was are massive improvement on our packaging capacity. 2003Earlybird Bait upgraded its fleet of vans to keep up with demand. 2014Earlybird Bait bought Polar Bait and upgraded the fleet once more to 7 delivery trucks.